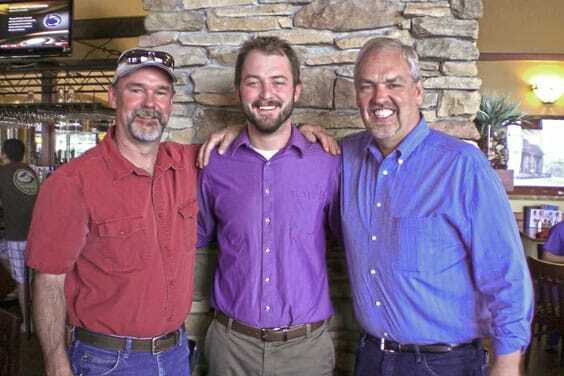 Pictured left to right is Rockyard owner Mike Drabing, General Manager Laird Mulderink, and owner Jeff Drabing. 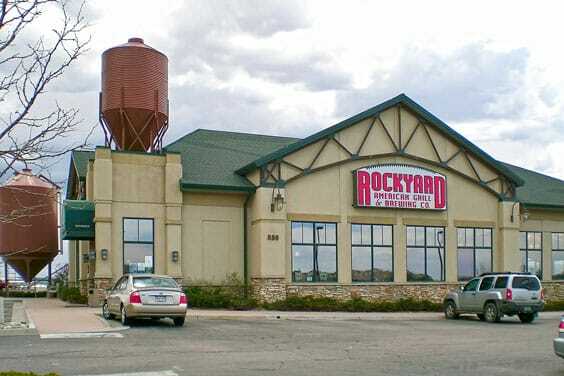 Tucked away on Castleton Road in Castle Rock is the Rockyard American Grill and Brewing Company. The Rockyard is owned and operated by longtime Surrey Ridge resident Mike Drabing. Mike, along with his sister Diane and brother Jeff, created and opened the Rockyard in 1999. To this day, the Rockyard is one of the oldest brewpubs in all of Douglas County. When asked how the three siblings got started, Mike said they had bought the land on the west side of I-25 in 1999 with the intent of giving diners in Castle Rock another much-needed quality restaurant. At the time the Rockyard was built, there was very little to choose from on the west side of I-25, with diners’ options being only the Outlet Mall food court, and a few scattered restaurants next to the mall. The Rockyard is the only brewhouse in Castle Rock with patrons being treated to roughly eight microbrews on tap, including a special “one-off” brew that is created in a small batch and served up only on Friday afternoons. The Rockyard’s Brewmaster is Jim Stinson, a retired marine, who has led the Rockyard to numerous awards at the Great American Beer Festival. “Come for the food … stay for the beer,” couldn’t be more apropos, as this family friendly restaurant serves up great American fare from fresh salads and soups to award-winning burgers, sandwiches, steaks and seafood. “The Rockyard is as serious about its food, as it is about its beer,” with a dining room that happily accommodates two hundred-plus people, under the general management of Laire Mulderink. With its flat screen HD TVs to its great happy hour, the Rockyard is the perfect place to meet family and friends for any occasion. The Drabing siblings hosted their first Rockyard Charity Golf Tournament on May 17, with the proceeds going to the Women’s Crisis and Family Outreach Center in Castle Rock. The Drabing siblings felt inspired to help those in our local community, and plans are underway for next year’s event. You can visit the Rockyard American Grill and Brewing Company any day of the week, for lunch or dinner, including a great late-night menu served up until 10 p.m. in the dining room. The bar and lounge are open even later, and have specials running all night. For additional information visit www.rockyard.com. Welcoming atmosphere and family friendly service, the Rockyard is open seven days a week serving lunch and dinner.